As it was, though, I made it to the festival in time to see Vader… well, some of Vader. Because one minor issue with having the opening night festivities situated in the 3rd stage tent is that you end up trying to pack an entire festival’s worth of people into a venue that, while large in itself, was definitely not designed for that purpose! Thus my Vader viewing experience became a curious mix of long-range appreciation and video-screen voyeurism. The Polish destroyers certainly blew away the cobwebs which the long drive had caused, though, with an absolutely annihilating performance so heavy you could almost see the ripples spreading through the crowd in response to each crushing riff or furious blast-beat passage. As well as being a blasting riff machine, the frightful four also have an incredible grasp of hooks, particularly when Piotr or Spider rip out a whirling, spiralling lead part. In a just world these guys would be big. Slayer big. After this I was meant to watch Exodus… but man was I tired. So I returned to the tent to crash out in preparation for the following day of carnage. My first band of the festival proper (the previous night’s performances being effectively part of the pre-show warm-up) was the black-hearted Mancunian misanthropes Winterfylleth. Clearly a relatively unfamiliar prospect to many of those assembled before them (but with a cadre of die-hard supporters clustered down the front) the four-piece put on a fantastic display regardless, drawing from across all three of their albums and leaving behind a crowd of fresh converts to their cause. A quick nip over to the main stage was in order after that, in time to catch the shred-tastic riffage and soaring melodic choruses of Soilwork, who played to an impressive crowd for such an early (16:00) set time. Switching out the guitar line-up has certainly reinvigorated the band, perhaps even saved them, as all the material – both new and old – came across with so much more life and power than I think any of us expected. They really are a band reborn at this point, reflected in the fact that a good four-song chunk of their setlist was drawn from The Living Infinite. Another band who should be absolutely massive. Back over on the Party (Third) Stage I was treated to some steamrollering death metal goodness courtesy of the Danish demolition team known as Illdisposed, a band I haven’t seen live in years and years. They’re still right on top of their game though, mixing forceful melodic death metal with a rumbling, earth-shaking groove and Bo Summer’s brutally clear growl. With ten full-length albums of original material under their belts the band had a wealth of songs from which to choose, from last year’s Sense The Darkness to 1995’s Submit and everything in between, inevitably leaving their fanatical crowd clamouring for more. After a short break (during which I could hear Fear Factory slaughtering some of their classics over on the main stage), it was time for Necrophobic to bring their murderous brand of razor-sharp black metal to the assembled masses. A band I have been in love with for years and years now, the group’s frontman was/is currently incarcerated, so vocal duties fell to Naglfar’s Kristoffer Olivius – and man, did he ever do a brilliant job. The group’s strutting, menacing black metal, filled with eerie melodies and caustic riffs, brought an oppressive, evil gloom to the afternoon’s festivities, cut through by some glorious, progressive lead guitar work. Spellbinding stuff. Up next were NCS faves Sólstafir, offering a real change in the pace of things with their sublime musical catharsis. With how long the group’s songs are, it shouldn’t surprising that we only got to hear 5 numbers (including perennial live-staple “Fjara”), but those five songs achieved near total perfection, the whole crowd totally enraptured for every single second. The group also have a keen grasp of stage presence too, languid and cool, yet fiery and passionate at the same time. Great banter too. Up next for me (sorry Atrocity, but nothing doing there) were one of my most looked-forward-to acts of the entire festival, Cult of Luna. The band are simply a veritable force of nature these days, devastating in their intensity without pandering to extreme metal forms or clichés. With three songs (“I: The Weapon”, “Disharmonia”, and “In Awe Of”) drawn from the superfluously awesome Vertikal, along with one track each from Eternal Kingdom (“Ghost Trail”) and Somewhere Along The Highway (“Finland”), the group’s setlist was a raging storm of monolithic riffs, chilling melodies, and ferocious emotional tumult. An absolute highlight of the entire festival. Following this was certainly always going to be a challenge, but Dying Fetus definitely brought their A-game with them to Germany. Slamming, crushing, blasting and grinding, the terrible triptych of terror did their very best to provide the day’s most extreme performance, culling liberally from across their back-catalogue and leaving the audience one wasted, massacred mess of exhausted flesh and broken bones. Stay tuned for part two of my review, where I’ll cover the bands from days 2 and 3! 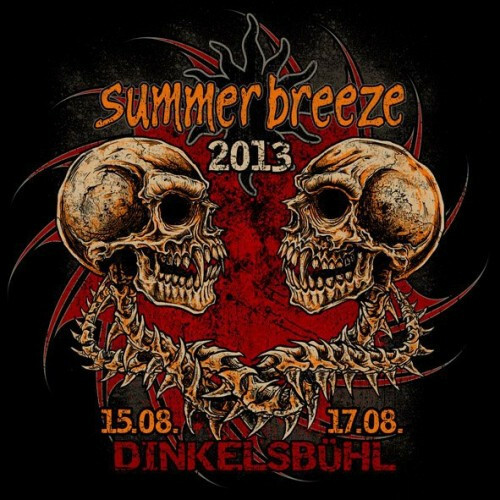 Haha, I was at Summer Breeze too but out of those listed I only watched Vader, Exodus, Soilwork and Solstafir. Winterfylleth was at the same time as Alestorm unfortunately, during Illdisposed and Necrophobic I can’t remember if I took a break or was watching something else, and Cult of Luna and Dying Fetus I had just seen the week prior in Brutal Assault festival. Surprised you skipped Evocation, they were pretty killer! I didn’t find it particularly “mainstream” at all. Maybe somewhat modern in places, but that’s just to be expected. There was still a nice amount of death and black metal on show. And even the “modern” acts were good. I’ve (so far) had no problem with the Summer Breeze line-up. Tobias Sidegård are in jail? For doing what? Oh well, I can’t imagine a better replacement than Kristoffer. He’s easily one of my favorite vocalists in the black/death genre. I did some looking around on a Swedish website and apparently he’s serving 18 months for stalking and beating up his wife and children. Scumbag.